Once your application fee has been received, we will begin processing your application. If you do not receive a response within 72 hours of submitting both the application and fee, please email us at applications_ca@ncbr.org to request an update. Our volunteer application team works very hard to ensure everyone receives a timely response. 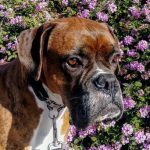 Thank you for your interest in adopting from NorCal Boxer Rescue! You must live in Northern California, Central Valley (Fresno or further north) or around the Nevada/CA Stateline area. Due to geographical/capacity restraints, we are otherwise unable to accept applications from out of state, or from southern California. All current pets in the household MUST be spayed/neutered and current on shots. We will call your vet to ensure the medical prerequisites have been met. As a general rule, we do not foster or adopt to families with children under the age of 5; however, exceptions are made on a case by case basis. Applicants with children under 10 will be required to answer additional questions. This policy is strictly for the protection of our boxers and our foster or adoptive families. Please review our Boxers & Children page for more information. Applicants who rent must provide landlord contact info. NCBR requires verbal landlord approval for all renters. Due to dominance or related issues, we do NOT adopt female boxers into homes with other large breed female dogs. We do not adopt out dogs as gifts. All pets must be INDOOR companions! NCBR does not adopt out of state, except northeast Nevada. If you are a family with children under the age of 10, please review our policies regarding adoption on our Boxers & Children page.